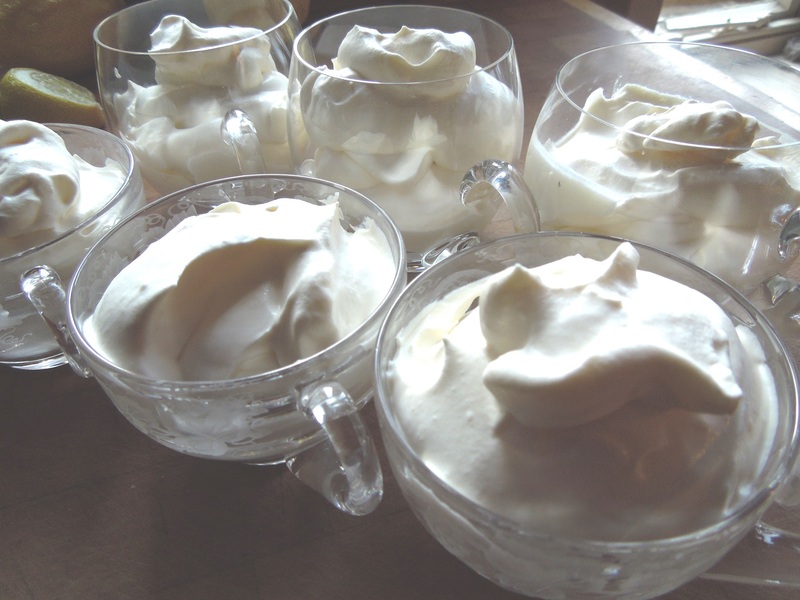 Syllabub used to be made, it’s said, by the milkmaid milking her cow directly into a jug of cider. I don’t know if that’s true but I hope so. In its original form – it goes back at least as far as Tudor times – it was made with milk or cream curdled by the addition of something acidic, usually cider or wine, and often served sweetened. 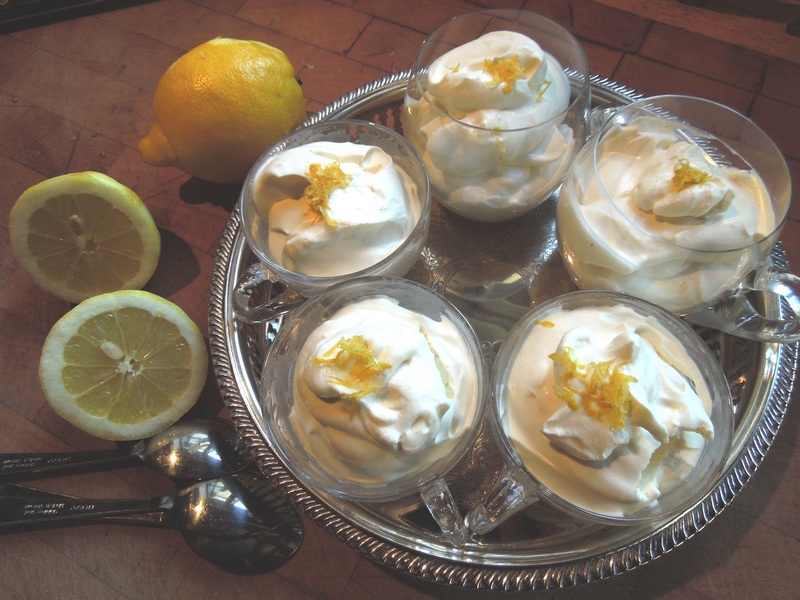 These days few people have a cow in the backyard (but do write and tell me if you’ve ever tried the milking method) and in its current incarnation, I’m pleased to report, syllabub is made by simply whipping up cream with booze, lemon juice and sugar. It’s foamy but rich: a little goes a long way. It makes a great topping for a traditional sherry trifle. Here though I’ve paired it as stand-alone dessert with crisp, lemony, melt-in-the-mouth biscuits. Put both sorts of booze, the lemon zest and its juice in a small bowl and add the sugar, stirring until it has dissolved. Eliza Acton, writing in 1845, suggested leaving this to steep for a few hours to develop the lemony flavours. Or leave it overnight in the fridge if you have time. Transfer to a large bowl, pour in the cream and whisk until it holds its shape. Don’t over-whisk or it may split. Spoon into glasses and garnish with a little more lemon zest scattered on top. 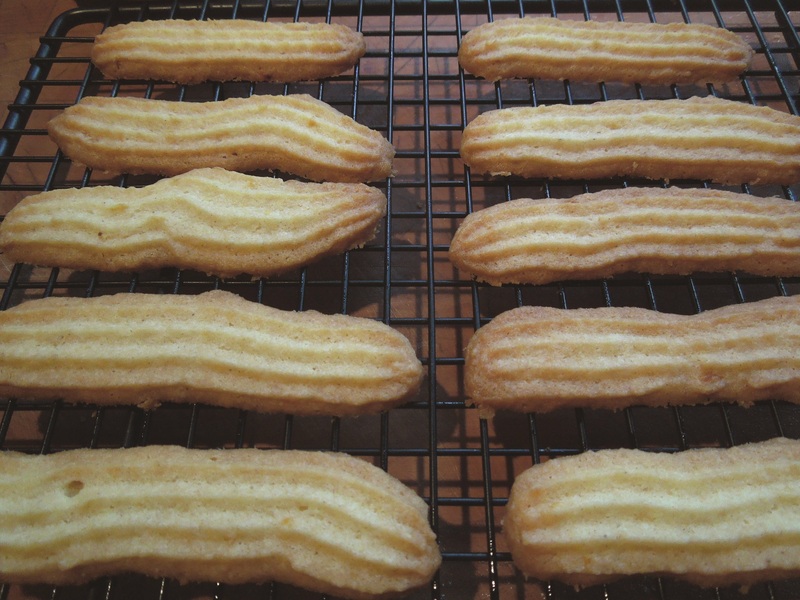 These are a lightly citrusy version of the classic Viennese Fingers, minus the chocolate dip. Preheat oven to 190C/375F/Gas Mark 5 and lightly grease two baking trays. Put the butter and lemon zest in a large bowl, sift in the sugar and beat well until pale and fluffy. Sift in the flour and baking powder and beat again until thoroughly mixed. Spoon into a nylon piping bag fitted with a medium star nozzle and pipe lines of the mixture onto the baking trays. They should be about 7.5 cm (3″) long and spaced well apart. Hopefully you’ve got a steadier hand than me and your lines will be nice and straight and not quite so wormy. Bake for 10-15 minutes until they’re a pale golden brown. 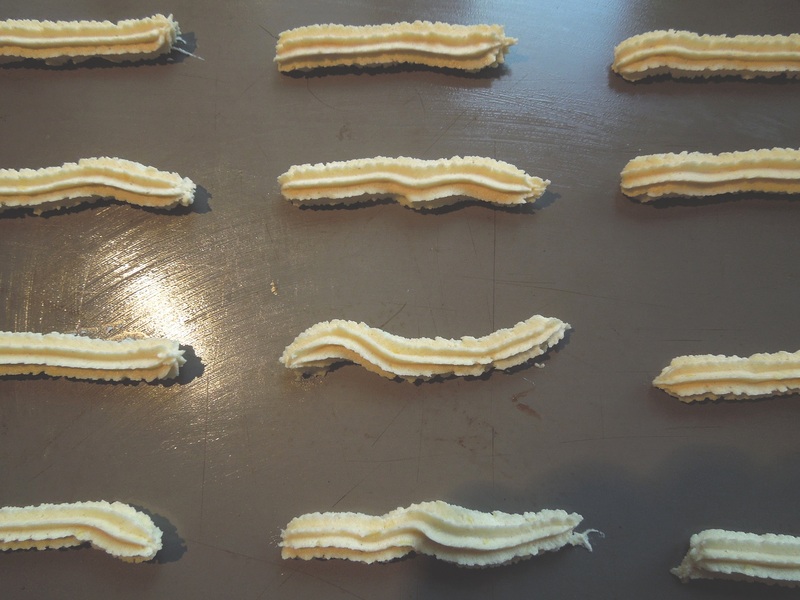 Carefully remove from the baking trays using a palette knife and allow to cool on a wire rack. 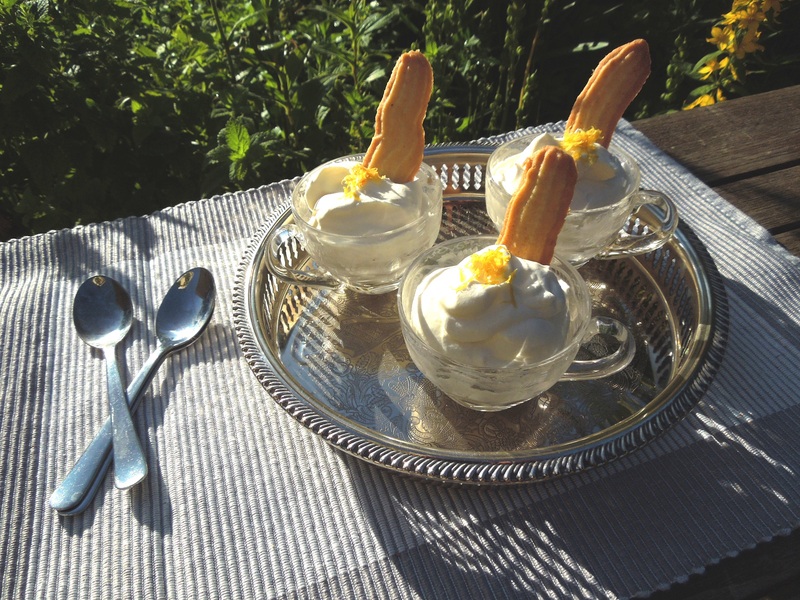 This entry was posted in Desserts, cakes and biscuits, Eggs and dairy, Vegetarian and tagged lemon finger biscuits, lemon syllabub by Linda Duffin. Bookmark the permalink. Oh, we always dress up as milkmaids and cowherds at the weekends. Don’t you?